Dr Wilson Imogan, a medical practitioner has tasked inducted medical students of the Igbinedion University, Okada to be committed to their study and become professionals that would contribute to the health of the nation. Imogan gave the task on Wednesday in his keynote address at the third “White coat” ceremony of the School of Clinical Medicine of the institution in Okada. 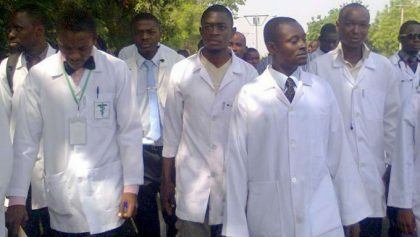 Imogan, a former Commissioner of Health in Edo, said that the white coat was the symbol of the medical profession, rooted in heritage and culture which would help the students develop a professional identity. Imogan, who described white coat ceremony as a transition from rhetoric sciences to training, practice to professionalism, exposure to the acting of clinical examinations, urged the medical students to take a new phase seriously. He also said that medicine, being a science and professional calling, there was a need for the inductees to show commitment and passion as well as develop the science of continuous learning. Imogan further urged the inductees to learn and think clinically to be able to arrive at a diagnosis, adding that they must uphold the ethics of their profession. Prof. Lawrence Ezemonye, the Vice Chancellor of the Institution, described the “white coat” ceremony as a rite of passage for medical students. Ezemonye also said that the ceremony symbolised empathy, care and professionalism and a phase for shaping and transiting medical students from pre-clinical to clinical medicine. Prof. Jacob Unuigbe, Provost, College of Health Sciences of the university, said that there was the need for the inductees to re-orientate themselves to be good doctors. Meanwhile, Prof Dominic Osaghae, Dean, School of Clinical Medicines of the institution, said that the ceremony signalled the beginning of the interaction of medical students with the humans, as patients.